Archive by category "TEKYHOST BLOG"
Zimbra is directly competing with office 365 for share of enterprise email market. A lot of our clients ask us. Why choose Zimbra over Office 365? Lets see why we as consultants we always suggest Zimbra over Office 365 for any business with more then 10 mailboxes. Zimbra hands down wins the competition when it comes to pricing. Be it Network on Perm. deployment or hosted solution. There is huge difference in pricing and Zimbra is clear winner. On top of this Zimbra provides Free Open Source Edition that is available as evaluation software. In Office 365, there isn’t a provision of any “free account” and users need to pay a minimum monthly subscription. Zimbra is an open source software that means organizations can have more control over email operations as there is always a possibility to customize code to suit diverse business requirements. Office 365, on the other hand is a closed source software as only Microsoft is permitted to perform any changes to the code as and when required. Zimbra supports android, iOS and all leading web platforms. Office 365 also supports android, iOS and some web platforms but lucking supports for some web browsers. Now includes Zimbra Drive and Zimbra Chat! At TEKYHOST we provide professional Zimbra Hosting and Consulting services. There is many ways deploying OpenStack in production and POC environment. 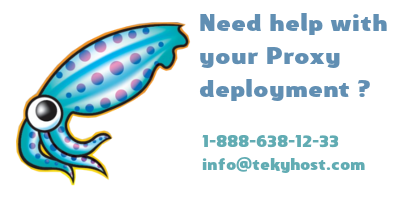 TEKYHOST provides consulting and support for OpenStack deployments. Most deployment use some sort of automation like Ansible, Puppet, Chief and so on. In this how to will look into installing and configuring OpenStack on Ubuntu 16.04 manually. We will use virtual machine and install all-in-one but procedure for installing OpenSTack on multiple systems would be the same with exception that some components installed on different systems. We will install everything on virtual system but in production you will need to use hardware and put much more thought in braking down your modules and figuring out redundancy and so on. The goal of this tutorial is just to show how everything is installed. This is long process with a lot of manual typing but it will let us see exactly how each component is installed and configured. We will be using password1 as password and IP 192.168.0.188 as controller’s management interface. When you run command’s please substitute with your own related information. 2 nics – One of which configured with static IP (192.168.0.188). Both can for now be connected to same 192.168.0.0/24 network. Create file that contains environment variables that can be loaded any time. Download a test image from the Internet, and verify that it can be uploaded to the image server. When choosing File system(disk file system) for Linux installation most of the users will choose default which will be XFS(on most modern Linux distributions), but there is quite a few of file systems available. Lets take a look at different Linux file systems and see what similarities and differences they have. Unlike Windows Linux kernel supports many different types of filesystems. Linux can also read and write to Windows filesystems. The problem we trying to solve in our case is unsafe INTERNET browsing and poor INTERNET access speeds. The solution that we will be implementing will be Squid proxy server positioned on internal network and providing caching as well as filtering for all internal clients requests. A proxy server is a computer system positioned between the client requesting a web document and the target server. In its simplest form, a proxy server facilitates communication between client and target server without modifying requests or replies. In our case we will be implementing a proxy server that can filter requests based on various rules and will allow communication only when requests can be validated against the available rules. The rules are generally based on an IP address of a client or target server, protocol, content type of web documents, web content type, and so on. OpenStack is a set of software tools for building and managing cloud computing platforms for public and private clouds. Backed by some of the biggest companies in software development and hosting, as well as thousands of individual community members, many think that OpenStack is the future of cloud computing. OpenStack is managed by the OpenStack Foundation, a non-profit that oversees both development and community-building around the project.